The machine-organism analogy has played a pivotal role in the history of Western philosophy and science. Notwithstanding its apparent simplicity, it hides complex epistemological issues about the status of both organism and machine and the nature of their interaction. What is the real object of this analogy: organisms as a whole, their parts or, rather, bodily functions? How can the machine serve as a model for interpreting biological phenomena, cognitive processes, or more broadly the social and cultural transformations of the relations between individuals, and between individuals and the environments in which they live? 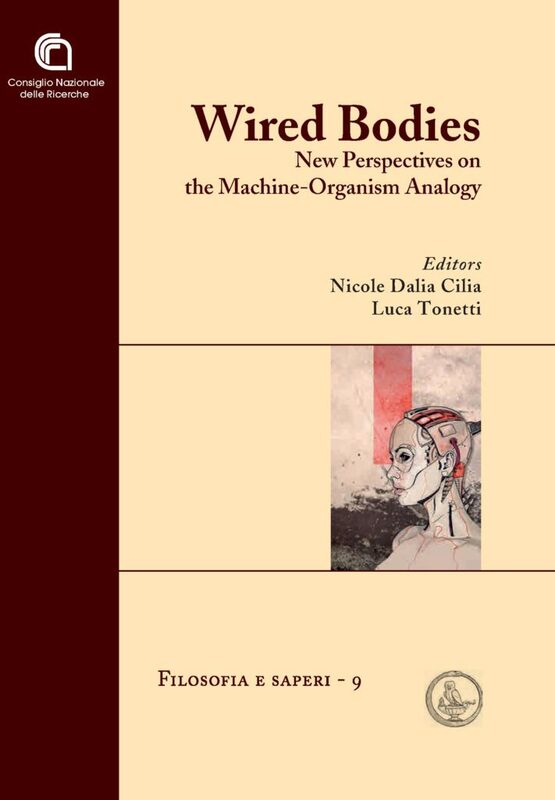 Wired Bodies. New Perspectives on the Machine-Organism Analogy provides the reader with some of the latest perspectives on this vast debate, addressing three major topics: 1) the development of a ‘mechanistic’ framework in medicine and biology; 2) the methodological issues underlying the use of ‘simulation’ in cognitive science; 3) the interaction between humans and machines according to 20th-century epistemology. III. Beyond the bodily boundaries: how do machines extend the bodies and their world?